CAMBRIA, Calif. (PRWEB) – Spring is on the way and with wildflowers blooming across the Central Coast, a wild weekend getaway is just the thing to spring for. With a fresh infusion of hoteliers, winemakers, brewers, restaurateurs, fitness instructors, and artists—along with some old-school dive bar fun—Cambria has everything for the perfect weekend with the girlfriends. You just have to know where to go to find the wildflower in you. On day one of visitor’s wildflower weekend, they can sip on some wine and taste some beer, rock out to live music, eat pie, and indulge. In other words, treat themselves. Use day two of the weekend to relax and renew. Visitors can eat healthy, do a little yoga, take in the beautiful natural surroundings, and meditate on a great weekend of wildflower fun. By the time visitors leave Cambria, they’ll have had the perfect combination of wildflower fun and relaxation. Day One: Get wild like the flowers! Stop for a steaming cup of coffee and a deliciously warm morning snack at the Cambria Coffee Roasting Company. The gourmet and specialty coffees offered at this quaint, local hotspot are roasted in-house, meaning visitors have likely never tasted fresher brews. Indulge in a tour of the decadent Hearst Castle. Only six miles north of Cambria lies Hearst Castle, overlooking the Pacific Ocean from atop the Santa Lucia Mountains. Craftsmen labored for nearly 28 years to create this grand estate, named after media mogul William Randolph Hearst. Fuel up for the wild night ahead and grab a monstrous sandwich or burger at the Café on Bridge Street. The Café is the perfect stop for inexpensive lunch fare, with sandwiches, salads and soups that everyone will love. Tucked away in a charming corner off the main thoroughfare, this eatery is an ideal lunchtime escape. Visitors can grab-and-go or sit down and enjoy. Later, embark on a walk along the Meander Trail to enjoy nature’s display of beautiful wildflowers before revving up for the rest of the evening. Wind along the wildflowers with this west-to-east, uphill trail that meanders from Marine Terrace Trail and connects to Ridge and Forest Loop Trails. Enjoy wide open space with Pacific Ocean views. 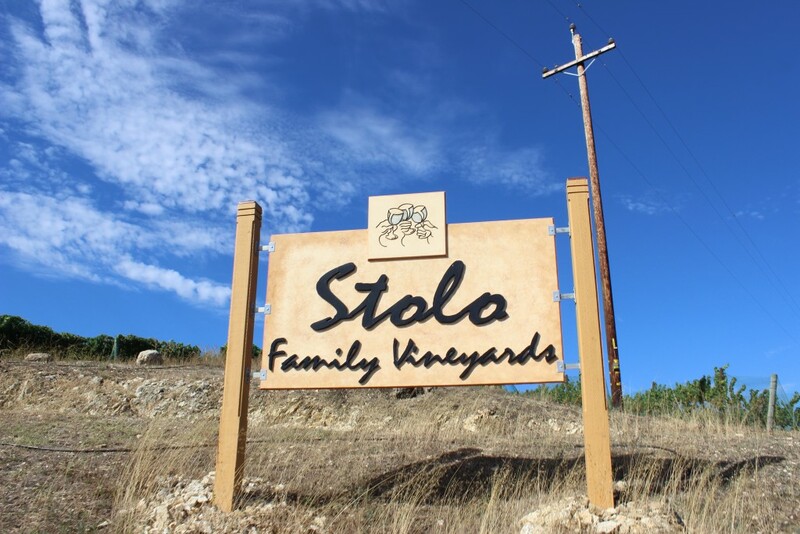 Head east through the winding hills on Santa Rosa Creek Road for fine wine tasting at Stolo Family Vineyards. 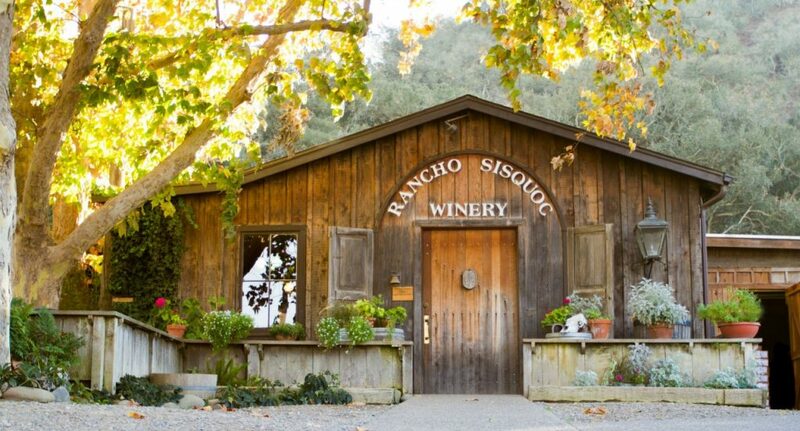 Sitting at the base of a sun-kissed nine-acre vineyard, the farmhouse and old dairy barn at Stolo Family Vineyards dates back to the late 1800s. Less than three miles from the Pacific Ocean, the vineyards thrive in Cambria’s unique microclimate, producing unmatched coastal-style Chardonnay, Sauvignon Blanc, Gewurztraminer, Pinot Noir, and Syrah. After wine tasting, pick up some signature sweet homemade pie or jam at Linn’s Fruit Bin. When it comes to dessert, visitors won’t want to miss Linn’s olallieberry pie. It’s a Cambria specialty, and incredibly popular, for good reason—it’s delicious! You can get pies, as well as all kinds of olallieberry delicacies, at the variety of Linn’s stores in town. Visitors can check into their lodging property and freshen up for a wild night out. Then, sip on an ice-cold beer at 927 Brewing Company. Sample some of the delicious brews offered by 927 Beer Company. They serve up some serious suds like Toyon, Mudhoney Oatmeal Stout, Nit Wit Wheat, Old #23 Robust Porter and Dakota Pale Ale. Stop in at the Black Cat Bistro for dinner. Simply elegant and sumptuously delicious, this intimate eatery opened in 2002 and has been the talk of the town ever since. Sample unusual appetizers, farm-fresh entrees and decadent desserts as visitors drink the regional wines that are central to the chef’s expression. Don’t miss the locally- sourced abalone from Cayucos. Let the fun continue with drinks and dancing at Mozzi’s, Cambria’s historic biker bar. Established in 1866, Mozzi’s Saloon is the only historic biker bar in Cambria. Completely remodeled in 2007 with the original ambiance of yesteryear—full bar, live music, pool and snooker tables, friendly atmosphere, and bar menu—Mozzi’s has it all. Day 2: Relax, renew, and detox! Visitors can clear their palette with a healthy and light breakfast at Centrally Grown. This restaurant nestled in the hills along the coast has edible gardens, custom sculptures, sustainable water features, and ocean-view patios, not to mention delicious food and a rustic vibe. Then, clear the mind with a yoga class on Moonstone Beach. Start the morning meditating on a wonderful weekend while listening to the calming ambiance of the waves gently lapping the shores of the Central Coast. Yoga on Moonstone Beach offers visitors the ultimate relaxation. After yoga, enjoy the breeze off the Pacific Ocean while taking a walk along the Bluff Trail at Fiscalini Ranch. At the main entrance to Fiscalini Ranch, the one-mile Bluff Trail boardwalk meanders above the coastal bluff from Windsor Boulevard. This scenic trail offers spectacular ocean views and is a good place to spot native wildlife, seabirds, migrating whales, sea otters and other marine life. Enjoy fresh-pressed juices, smoothies, and Instagram-worthy salads at Sandy’s Deli. This quaint deli and bakery is conveniently located in the heart of Cambria. Or enjoy an out-of-the-box health food option at Soto’s True Earth Market. Browse the shelves at Soto’s and curb cravings with fresh fruits and vegetables, cured meats, unique cheeses, and a variety of sandwiches. Grab whatever the heart (and stomach) desires, take it to-go, and enjoy on Moonstone Beach. Dine on light, global fare at Robin’s Restaurant, followed by a walk through the village, enjoying the breeze as you window shop. Robin’s is known for its creative international fare, farm-to-table selections, and charming atmosphere. It’s located in a historic building, but you’ll likely be distracted by the incredible food and wine selection. The detox is complete! Spend the rest of the night relaxing and fall asleep early to the calming sound of the Pacific Ocean. No matter what visitors choose to do on their wildflower weekend getaway, Cambria has something for everyone. So, grab your girls, grab your wine, and get wild. PRINCE EDWARD ISLAND, CANADA (PRWEB) – While most famous for its mussels and oysters, Prince Edward Island (PEI) is also home to a bounty of chefs, artisans, farmers and fishers, whose focus on fresh flavors help make the Island a food lover’s paradise. With a growing food scene and 2,185 square miles of good eating, here’s a taste of six new culinary-inspired experiences on PEI this summer season. Experience PEI and Culinary Adventure Co. have teamed up to create a new Island-focused collection of four culinary adventures. The Farmers’ Market Picnic focuses on fresh local foods and the people who cultivate, forage and create them. 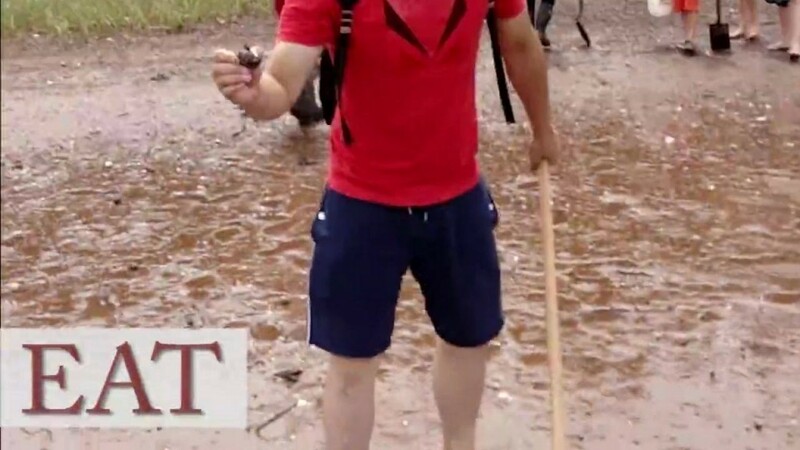 The Bar Clamming Adventure lets guests slip into a wetsuit and snorkeling gear, and wade into the water in search of bar clams, the biggest clams on Prince Edward Island. The Charlottetown Food Tour features hidden gems and local favorites around the Island’s capital. The Floating Lobster Boil features a sunset cruise around the Charlottetown Harbour, freshly cooked lobster, and stories from a third generation lobster fisherman. Prices start at $59.00 CAD per person. For more information, visit http://www.experiencepei.ca. After undergoing a $7.2 million (CAD) renovation, the Culinary Institute of Canada will once again open its doors in June 2018 with new hands-on culinary experiences that explore the local flavors of the Island. A variety of new half and full day classes are available including themes such as Seafood, Island Flavours, Bootlegger’s Experience, featuring locally produced libations, and Thrills on the Grill. The renovations also introduced a new expanded on-site dining room with two walls of windows showcasing water views, as well as a bar and open kitchen. Half-day boot camps start at $139.00 CAD per person. For more information visit, http://www.culinarybootcamps.com. Last year, The Table Culinary Studio introduced experiential dining for up to 14 guests, transforming the former historic church turned culinary workshop into a boutique restaurant each evening. Menu themes vary based on the night. Traditional Island Feast features PEI’s finest seafood and lessons in catching lobsters, how mussels are farmed and oyster shucking. At Isle & Fire, guests gather in the garden around the fire while the chef prepares smoky and savory dishes over an open flame. Island Dinner Party features live music and cocktails before heading to the kitchen to watch the chefs prepare a meal that focuses on the flavors of each season. The new North Shore Surf & Turf uses elements of fire and smoke to prepare the meal in the outdoor cookhouse. Island beef is flame grilled, North Shore lobster cooked over the fire and mussels and quahogs are steamed underground. Table opens in May and closes in October. Prices vary starting at $65.00 CAD per adult. Every Monday throughout the summer, the new Stompin’ Tom Centre Homestead and Schoolhouse will host a Kitchen Party, a traditional Atlantic Canadian social gathering filled with music, food and dancing. Starting at $43.00 CAD per person, this weekly Kitchen Party is filled with lively Island music and culinary delights created by Island Red Seal Chefs that includes oysters on the half shell to kick-off the evening. The new venue also features concerts, song writing/performing workshops, open mic nights and dinner theatre on Tuesday and Thursday evenings with the story of legendary Stompin’ Tom Connors and local PEI cuisine. Dinner theatre tickets are $43.00 CAD per person. Stompin’ Tom Centre Homestead and Schoolhouse is open from June 1 to September 30. New craft brews, wines and food trucks continue to pop-up across Canada’s Food Island. Opened in late fall 2017, the new Copper Bottom Brewing Company is run by a husband and wife team in the small eastern town of Montague. Open daily at noon, the taproom serves pints, stunning views of the Montague River, and live music. The Island Honey Wine Company launched last summer and produces four mead wines made from fermenting honey. Part of the La Serena Farm, guests can sip honey wine, tour the farm and view of fragrant lavender fields. Food truck chefs across the island are taking their new menus to new levels. In Charlottetown, travelers can taste Terry Nabuur’s Lobster Melt at Terry’s Berries, or Belgian waffles at the PEI Waffle Company. In Summerside, the crepes at Viva la Crepe always include homemade sauces, and for a traditional food truck variety, UpWest Burger in Springhill offers classic beef, veggie and haddock burgers. This culinary knitting adventure brings travelers straight to the source: a local sheep farm. Led by internationally recognized knitter and weaver Margaret McEachern, Looms, Lambs & Lobsters, starts with a knitting lesson on an old-style knitting loom. Next, participants visit Ferme Isle Saint-Jean, a sheep farm sourcing local wool and awarding-winning cheese, to learn about the sheep and taste test some dairy products. The day ends at The Yellow House in North Rustico, where classically trained French chefs will serve a signature lobster dish. Price starts at $70.00 CAD per person. For more information about the province, visit http://www.tourismpei.com. 3rd Annual Masters of Taste – L.A.’s Top Tastemakers Celebrate the Finer Things On Field of The Iconic Pasadena Rose Bowl! 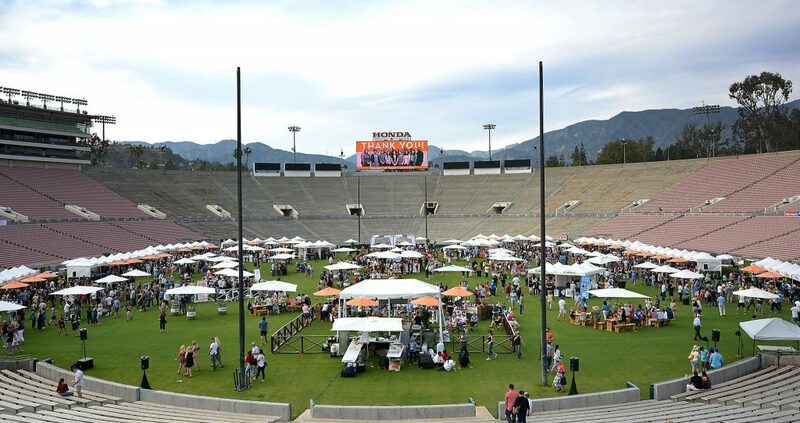 (Los Angeles, CA) – Come celebrate and be part of the 3rd Annual Masters of Taste, L.A.’s premier outdoor, luxury food and beverage festival that will take place on Sunday, May 6th, 2018 from 3:00 pm to 7:00 pm on the field of the Historic Pasadena Rose Bowl! Sweet Masters: A select group of Los Angeles Top Sweet Masters will showcase an assortment of delectable desserts such as the deliciously scrumptious scratch baked custom cakes from Butter Cake Shoppe, Crème Caramel, traditional and wildly creative gelato flavors from Fatamorgana Gelato, homemade premium sorbets from Helados Pops, Chocolatier to the Stars Mignon Chocolate, Nothing Bundt Cakes, Porto’s Bakery, Zooies Cookies and much more. Brewmasters: Beverage Masters who specialize in barley and hops will be presenting top-notch ales, lagers, pilsners and more for guests to sample, sip and savor all throughout the event, including Southern California favorites Indie Brewing Company, Iron triangle Brewing, Lincoln Beer Company, MacLeod Ale Brewing Co., San Fernando Brewing Co., State Brewing Co. and more. Wineries: A specially curated collection of Wine Masters will be showcasing their finest varietals including premium boutique winery Ascension Cellars, Cosentino Winery, Foris Winery & Vineyards, Hitching Post Winery, Y3 by Jax Vineyards, Kieu Hoang Winery, Lorimar Vineyard and Winery, Anderson Valley’s Navarro Vineyards and Wrath Wines to name a few. Bars & Spirits: Some of L.A.’s top bartenders and cocktail bars will be creating first-rate craft cocktails, including Peter Lloyd-Jones of 1886, Devon Espinosa of Sunset & Vinyl, Colin Pflugradt of SOL Cocina, and Pasadena’s Magnolia House. Top brands showcasing their finest spirits will also include American Born Moonshine, Dulce Vida Tequila, Woodford Reserve and ZYR Russian Vodka and many more. Non-Alcoholic Beverages: A variety of premium non-alcoholic Beverage Masters will also be on hand for those who wish to hydrate, caffeinate or regenerate, such as Bai, Boxed Water, Califia Farms Juices and Cold Brew Coffees, Dry Sparkling, Groundwork Coffee, Immordl energy elixirs, cold-pressed juices from Nekter Juice Bar and Zico Coconut Water and more. More Culinary Masters, Sweet Masters and Beverage Masters to be announced. 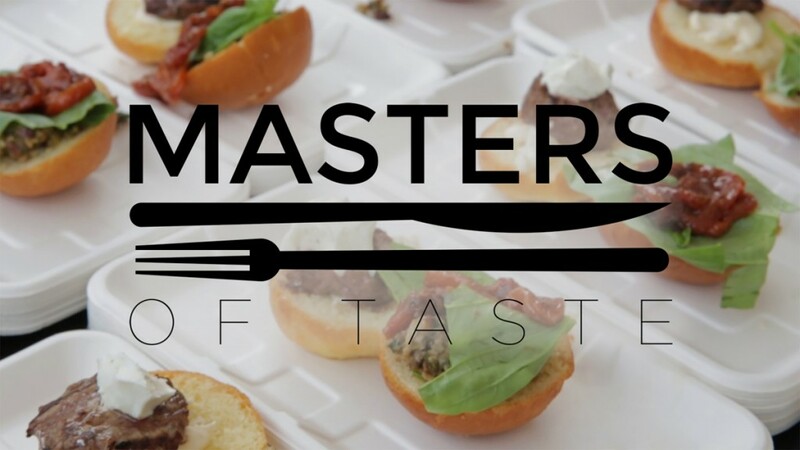 Sponsors: Masters of Taste 2018 is made possible through the generous support of our sponsors, which include HomeStreet Bank, Judith L Chiara Foundation, Western Asset Management, Woodford Reserve, Kaiser Permanente, Norton Rose Fulbright LLP, Kauffman Wealth Management and Zonin USA. Ticket Information: Masters of Taste 2018 will take place on Sunday, May 6th, 2018. A VIP Power Hour will be held from 3:00 pm to 4:00 pm and General Admission will be from 4:00 pm to 7:00 pm. Tickets to this event are only available for guests 21+ and over. Masters of Taste 2018 Early Bird Tickets will be available for purchase until Thursday, March 1st, 2018. For more information on Masters of Taste 2018 or to book your tickets directly, please visit www.MastersofTasteLA.com/Tickets. Temecula Valley, CA (PRWEB) – 2018 aims to be a banner year for Temecula Valley Southern California Wine Country with growth, expansion, openings, and new beginnings hitting the scene throughout the region. In 2018, visitors to Temecula Valley will have the option to dine at new restaurants, stay at new and newly remodeled hotels, know the secret password to enjoy access to local speakeasies, take new brewery tours, sip exclusive varietals at premier tasting rooms, and enjoy world-class live entertainment. Pechanga Resort and Casino finalizes its $285 million expansion this spring, with an exciting new lobby, additional meeting space, an entire 568 room wing of AAA Four-Diamond rooms and suites, luxury 25,000 square foot spa and additional 4 ½ acre pool complex with lagoon, swim-up bar and waterslides, doubling down on the already award-winning resort. Embassy Suites by Hilton Temecula Valley Wine Country also recently completed its own multi-million dollar renovation of suites and meeting spaces, while Best Western Plus will finish building its first property location, complete with upgraded amenities in an upscale setting, in Temecula, set to open this year. Temecula Valley’s wine and brewery scene will receive a substantial amount of growth in 2018. From The Winery Hopper Facebook page. On the wine and vineyard front, Akash Winery, featuring a selection of zinfandels, cabernet sauvignons, roses, and petit sirahs, is set to open this year while Wilson Creek Winery recently began its Upper Room Tasting Experience, an exclusive guided tour of reserve wines paired with small bites and appetizers prepared by their Executive Chef. Sweet Oaks Ranch, home to a premier equestrian riding facility, will soon open Sweet Oaks Winery, which will also feature live entertainment. The new Wine Cave Tour by Aall in Limo includes dining at a Temecula Valley restaurant, a Wine Cave tour at Oak Mountain Winery with wine tasting, and transportation is included. 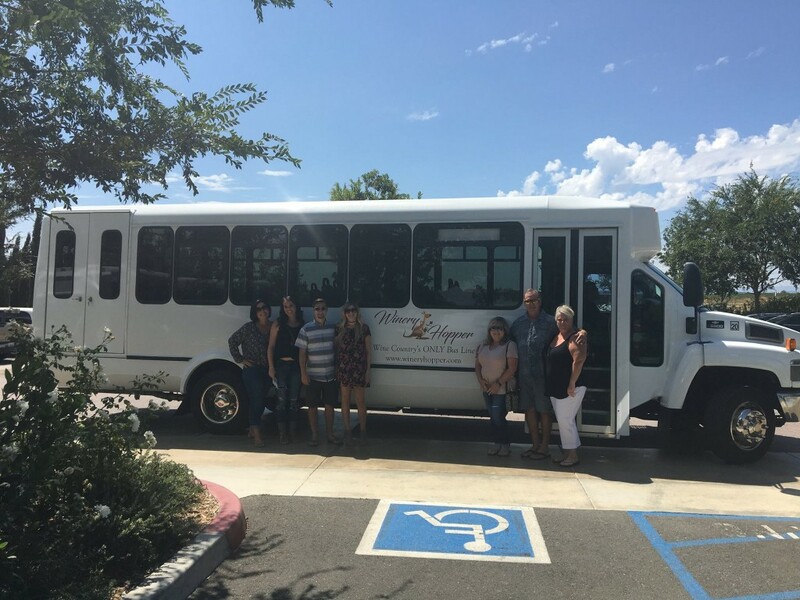 The Winery Hopper is also a brand new company that offers drop off and pick up to all the wineries; advance reservations are not required and hop-on, hop-off schedules make wine tasting a breeze. Winery tours are now being offered by air with Air Temecula. Both helicopter and airplane tours can take visitors to wineries in the highest style. Hip, new speakeasies opened in Old Town this year, including Thompson & Twain, located between Crush & Brew and Espadin in Old and The Apparition Room, located next to Devilicious Eatery in Old Town. But don’t tell anyone we told you. New brewery tours will be offered in 2018, including a new Brewery Tour at Karl Strauss, offered both weekdays and weekends. The tour takes visitors into the 7 BBL facility, showcases the stages of brewing process, history, and equipment; tours include a tasting flight. Brewery Tours are also now available in Temecula Valley from outside vendors including Aaal in Limo, Temecula Winery Transportation , Little Bus Tours, and Grapeline. Visitors won’t want to miss Craft Beer Month featuring specials, events, and activities at Temecula breweries throughout the month of May. Temecula will welcome a handful of new restaurants this year to add to their culinary collection. Espadín Mezcal + Cocina, which recently opened its doors in Old Town Temecula, features a menu that highlights several regions in Mexico with authentic ingredients and food always made from scratch. The Restaurant at Leoness Cellars recently reopened after a multi-million dollar expansion which will add space (both indoor and out) as well as updated amenities for the popular restaurant, rated #1 winery restaurant by USA Today’s 10 Best Reader’s Choice and Best Restaurant in the Inland Empire for four consecutive years. Their seasonal selections, created by Executive Chef Daragh Matheson, are prepared from scratch in the kitchen daily. The inaugural Temecula Blues Festival will take to the streets of Old Town Temecula this April, showcasing local, regional, and national artists. A Vendor Blues Village will complement the event with food, beer, wine, and merchandise. 2017’s last minute Western Days will be showcased this coming year, back by popular demand. The event will feature a gunfighters shoot-out at high noon, street vendors, and plenty of family activities. Temecula Lavender Company, a popular artisan gift store in Old Town, will begin hosting Farm Tours this June that allow visitors to explore the Lavender fields before harvest. For visitors traveling to and from Temecula, Temecula Air Shuttle is a new service that provides transportation from all major airports to Temecula Valley. The Alpaca Hacienda and Temecula Valley Alpacas both offer unique farm tours for groups and individuals wishing to learn about and even interact with alpacas. Advance reservations are required. Vail Headquarters, originally founded in 1867, is the site of the newest hip and happening scene to settle in Temecula. With specialty shops, boutique stores, and living history festivals and activities offered weekly, Vail Headquarters is a great spot for family-friendly entertainment and dining. LOS ANGELES, CALIF. (PRWEB) – Los Angeles area beer and wine drinkers have a new destination for a unique drinking and dining experience: Brewport Tap House, a self-serve bar and restaurant featuring 60 taps of pour-your-own beer, wine, cider and sake. After an overwhelmingly positive response to its debut in April 2017, Brewport Tap House has announced it will be open seven days a week. Brewport’s popularity is skyrocketing thanks to its self-serve beverage dispensing technology, iPourIt, which gives patrons the freedom to pour their own alcoholic (and non-alcoholic) beverages from a selection of 48 beers and ciders, and 12 wine, sangria and sake options. Brewport partners say the self-pour concept has encouraged beer and wine drinkers to broaden their horizons. Plus, all beverages are available to pour by the ounce, giving the customer control over how much—or how little—they want to taste. “We are in a craft beer boom. We are fortunate enough to live in the mecca of it all in California, where there are so many great breweries and styles to choose from. I am always on the search for something new, fun and special,” said Gina Traber, Brewport partner and Certified Cicerone, who curates the tap list at Brewport Tap House. Along with the self-pour concept, Brewport features a full kitchen helmed by executive chef, Andrew Fujii. Boundary-pushing menu items include Black Tiger Shrimp Tacos, Fried Chicken Biscuit, and Seafood Pasta Brodo. Fujii has gained such notoriety for his inventive dishes, Brewport will even be featured on ABC7’s Eye on L.A. with Tina Malave. iPourIt, Inc. is a revolutionary self-serve beverage dispense technology that allows taproom and fast casual patrons to pour their own beer, cider, wine, cocktails and coffee, and it tracks and monitors every pour. iPourIt’s data analytics gives bar and restaurant operators valuable information about who poured what, when, and where, so businesses may effectively target patrons and create a positive experience, while increasing revenues. iPourIt’s self-serve solution is now in operation on 2,500 taps nationwide and counting, with more than 3.4 million ounces poured each month, and more than 5.5 million users, a number that grows every day. iPourIt is born and supported in the U.S.A. Learn more about iPourIt at ipouritinc.com, and follow us for updates on Facebook (facebook.com/iPourIt), Twitter (@iPourIt_inc) and Instagram (@ipourit).